Because we've been featured as the best property management company four years in a row in our local newspaper, we feel confident saying our clients and customers genuinely believe us when we tell them we live our values. 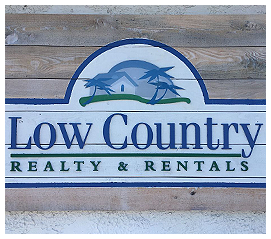 What are our company values at Low Country Realty & Rentals? Offering residential property management in Bluffton, SC, we work with people to help them get what they need, whether that's great summer vacation home rentals or long-term accommodations. We can even help manage a portfolio of properties for investment purposes. We're a small team, living and working in the same area we serve, so we've always got our ear to the ground and our finger on the pulse of this real estate market. In other words, we're here to help. When you work with us, you can feel confident that we'll never put anything above your happiness or satisfaction, so give us a call and see for yourself.